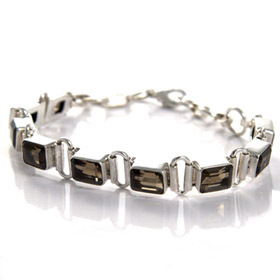 Smoky quartz is a clear brown gemstone which when faceted, has amber coloured glints as it catches the light. 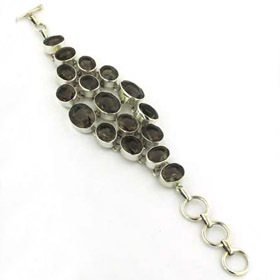 Whether your taste is for a smokey quartz bead bracelet, a statement bracelet or understated elegance your smokey quartz bracelet is here! 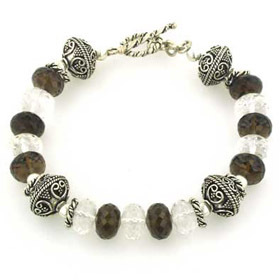 All our smokey quartz bracelets are set in sterling silver. 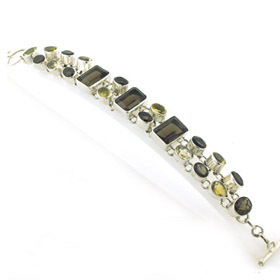 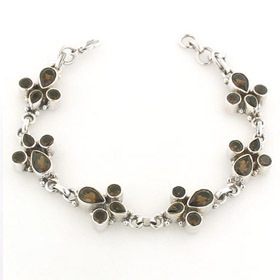 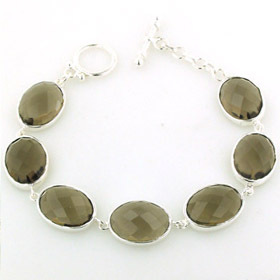 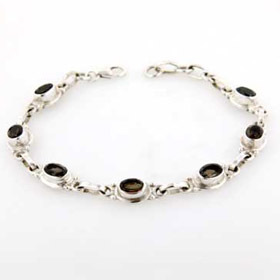 A smokey quartz bracelet is a neutral piece of jewellery and can be mixed with many colours and outfits. 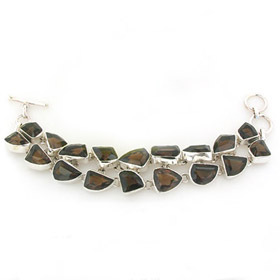 Team up with a smokey quartz pendantand a pair of smokey quartz earrings to create a set.